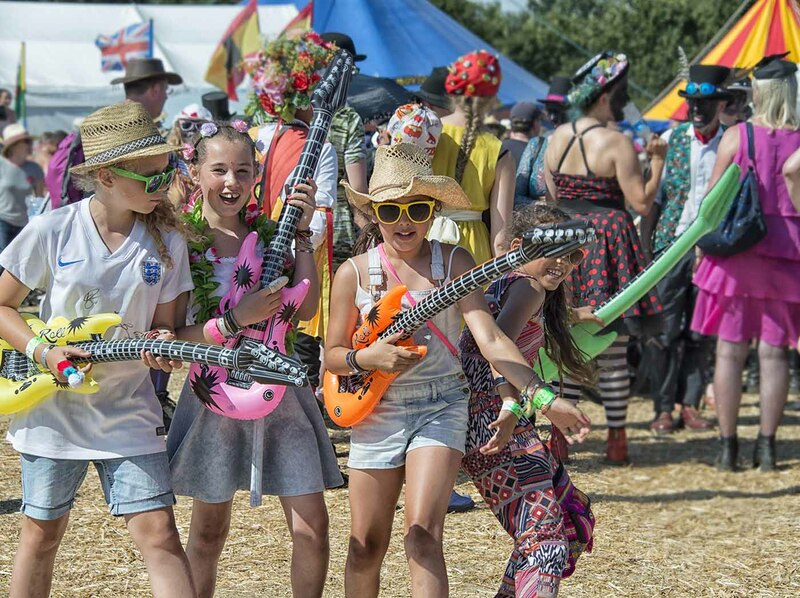 THE WICKHAM Festival has been voted the best event of its kind in the country. A Hampshire music festival is in the running for a top national award after its most successful year yet. The Wickham Festival has been nominated in the Best Festival (Capacity under 15,000) category of the prestigious Live UK Music Business Awards. Now in its sixth year, this is the only event committed to presenting awards to the business people who drive the country’s contemporary live music industry. Wickham Festival organiser Peter Chegwyn has hailed this year’s record-breaking event as the best yet. Box office records were smashed with more than 25,000 people flocking to the picturesque site to see the Proclaimers, 10cc, Billy Bragg and 80 other acts over four gloriously sunny days. The hot weather saw fans drink the site dry with beer running out just before last orders on the final night – and the event has already received a record number of bookings for next year. 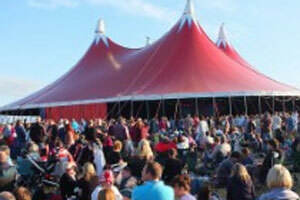 Chegwyn said: “This has been a record-breaking festival in every sense. It has easily been our best year – the question now is how do we top it? Tickets are on sale on the gate for all four nights of the Wickham Festival. Saturday and Sunday are selling particularly well and attracting big crowds but all four nights will be well attended due to the strong line-up which includes the Proclaimers, Wilko Johnson, Billy Bragg and 10CC. Fans can still buy day or evening tickets – or full weekend tickets at www.ticketsouth.co.uk or by phone on 023 8071 1818, via The Mayflower in Southampton. Please bring proof of purchase with you if buying like this. The capacity of the picturesque site has been extended to 7,000 following the success of last year’s sell-out show by James Blunt. And the signs are that the final two days of this year’s event will attract close to a full house to the small Hampshire village with a big reputation for attracting top-name artists. Day tickets start at just £35 with under-16s being half-price and under-10s free. Camping tickets are priced at £25 per tent or caravan for the whole weekend. They will be available from the box office on site. Please note you can bring snack food and water or soft drinks in sealed plastic bottles into the Festival but no alcohol, glass or cans. The provisional running order and timings have been announced for all three stages. Please note all timings are subject to change. 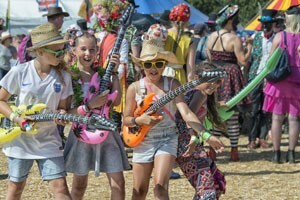 Record numbers of fans are expected to flock to this year’s Wickham Festival. With headliners including the Proclaimers, 10CC, Wilko Johnson and Billy Bragg, ticket sales have risen sharply ahead of the August 6-9 event. 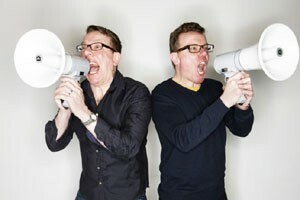 The Proclaimers might be best known for their rousing anthems and catchy tunes but there is a lot more to them than some might imagine. Identical twins Craig and Charlie Reid are fiercely proud Scottish nationalists who are prepared to stand up for social equality and justice. And they are not afraid to tackle difficult subjects either with their new album Let’s Hear It For The Dogs featuring tacks which deal with religion and even the Jimmy Savile scandal. “We tackle subjects that no-one else does. For instance What School is all about religion… it deals with the weasel way that people will try and find out your religion by asking what school you went to. Why can’t they just be honest and ask? “We also sing about the Jimmy Savile scandal in Then Again. We don’t sing about the abuse itself and we certainly don’t make fun or treat it lightly. It is more about the incredulity most people felt about it and the way it all started to spill out after his death. “Craig writes more than I do nowadays. He writes the bulk of the songs. “We are pretty much on the same wavelength so we don’t argue too much but sometimes we can be a bit too similar in our views which is why we have a producer to give a different perspective. “It is good to have someone on the outside who will change things. Sometimes the sound will be a bit more fancy than we would have thought. “We are very close in how we approach songs and life in general. I am probably slightly more extrovert but we are not much different. We grew up in the same bedroom and even when we moved out we had the same friends so it was kind of natural to be in the same band. “We are identical twins and I guess some people do sometimes have trouble telling us apart but we have never gone as far as always standing on the same side of the stage like Ant and Dec. I find that a bit weird since they are not even brothers. Craig and Charlie have a close bond both off and on the stage where they are all about entertainment, giving fans a stirring show and touching their souls. Their music is uplifting, powerful, meaningful and at times beautifully moving – and it is perfectly suited to a festival crowd. They are about to embark on a major autumn tour which will call at Southampton O2 Guildhall on October 29 but they will tailor their material to suit the crowd. Charlie added: ““We really enjoyed Wickham last time. It always helps when the weather is good and it was a glorious sunny summer’s evening. “Wickham is a beautiful part of the world and the audience there are great so we love playing this event. “We rotate songs all the time. Over the course of the tour we will probably play 40 songs but 23 or 23 a night depending on the time of our slot. “For instance at V Festival we had only 30 minutes so that pretty much had to be a Greatest Hits set but other times we will mix and match. “The start and finish stay pretty much the same but we change the middle. We just have to make sure the show hits the peaks at all the right times. “We always do the better known songs but just add more when we can. I think you have a responsibility to the fans to give them the songs they want to hear. “It is the same when bands turn up and go through the motions. If they have gone stale or maybe are not getting on with each other, it shows. I always hate seeing that because you can tell – and so can the audience. “You have got to have a level of entertainment and to keep things fresh. We tend to work on a three-year cycle. One year is spent putting an album together, the next is touring and the the next is writing. If you tour every year it gets a bit much. Carlos Nunez is probably Galicia’s most well-known, enduring and revered musician, with an undisputed reputation as one of the great Pipers. From the Celtic region of northern Spain, Carlos is a multi-instrumentalist, his signature instrument, the Gaita (Galician bagpipe). 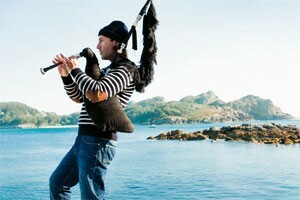 He also plays pastoral pipes, ocarina, whistle and recorder. He is enormously popular throughout Spain, Europe, Latin America and the USA. 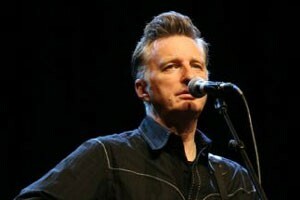 Billy Bragg might be one of the biggest names on the circuit but he won’t be arriving at Wickham with any airs and graces or outrageous demands. This down-to-earth left-wing campaigner has stayed true to his roots throughout his impressive career – and he is well aware of the realities of playing festivals in remote locations. He said: “I have seen some artists freak if things are not just how they want them but you have to give festivals some leeway. They are often organised by people who just do it for the love of it and who might not organise gigs normally. “You can either become a prima donna and throw your toys out of the pram or you can step up and do what you came to do. I generally do the latter. I take the view I have come a long way to do the gig, people have come a long way to see it and I am going to do it as well as I can whatever the problems. Renowned pacifist Tom Robinson is suddenly all in favour of senseless violins! After a 20-year wait, the human rights singer and broadcaster is back with a new album and a new sound. Only The Now is due out in October and is very different to anything the singer has done before. The biggest change is the addition to the band of violinist Gerry Diver (pronounced Divver) who is adding a whole new dimension to the music. Robinson said: “Having always hated strings on albums this has given us a new lease of life. It is very aggressive. “I happened to meet Gerry who is a virtuoso violin player with an incredible punk attitude to the piano and fiddle and he was keen for us to work together. “The noises he makes are wild and radical – and very unfolk in some ways. People need to hear his work. Fans of Galician bagpipe specialist Carlos Nunez can get a free upgrade to VIP status for his show at the Wickham Festival if they are also attending his show the previous night. The renowned Spanish celtic musician is playing the Chapel Sessions not-for-profit event at Royal Victoria Country Park in Netley on Wednesday August 5. People who buy for both shows will get a free VIP pass on production of their Southampton show ticket on arrival at Wickham. Fans are advised it is worth seeing the man dubbed “Hendrix of the bagpipes” in two completely different settings especially with the free upgrade at Wickham. When 10CC played Wickham two years ago, it is fair to say it was something of a step into the unknown. Even though they have a huge catalogue of instantly recognisable hits, it was a slight departure from the event’s traditional folk roots. 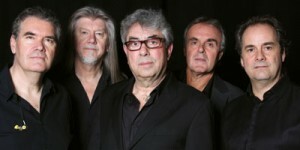 With only Graham Gouldman in situ from the original classic line-up, festival goers were entitled to wonder whether the band would still have the edge which made them one of the most iconic bands of the Seventies. Or would they have developed into almost a tribute band going through the motions? Among the most inventive and influential bands in the history of popular music, 10cc are one of the very few acts to have achieved commercial, critical and creative success in equal measure. Testament to 10cc’s ongoing appeal, the band can count a generation straddling array of fellow artists, everyone from Chrissie Hynde to The Feeling’s Dan Gillespie and Axl Rose to Sophie Ellis Bextor, among their many millions of fans. I’m Not In Love, co-written by Graham Gouldman and Eric Stewart, features prominently in the soundtrack to the 2014 blockbuster film Guardians of the Galaxy, which grossed $635 million in its first two months in US cinemas and spawned a No 1 album. Meanwhile, a key element of the soundtrack to 2010’s Facebook feature film The Social Network is Dreadlock Holiday, which is also the Sky Sports cricket reports theme in Australia. 10cc has sold more than 30 million albums around the world and the band’s longevity is testament to their timeless songs, and reflecting Gouldman’s status as one of the world’s leading songwriters, he was inducted into America’s Songwriter’s Hall of Fame at a ceremony in New York in June. Previous inductees include Noel Coward, Burt Bacharach, Neil Sedaka, John Lennon, Paul McCartney, Bob Dylan, Bruce Springsteen, Leonard Cohen, Elton John and Sting. The band continues to traverse the globe and play countries as disparate as Iceland and South Africa, Latvia and Japan, as well as across Europe, Australia and New Zealand, Canada and the US. Following a 23-date UK tour in October-November, early 2015 will see the band play three concerts in Japan before a 12-date tour of major UK concert venues in February, when the first half of the show will feature the band performing the Sheet Music album in its entirety, with a special video contribution from Kevin Goidley. Gouldman attributes 10cc’s lasting appeal to the quality and individuality of the band’s songs. “They don’t seem to date; they are original, we never followed any trend we simple wrote for our own pleasure. The fact that the songs are being played as often on the radio today as they ever were shows how true that is,” he says. 10cc ruled the pop world at a time – the 1970s – when the charts were dominated by some of the most creative and colourful artistes in pop history. Unlike David Bowie, Queen, Elton John or Rod Stewart – all of whom they stood shoulder-to-shoulder with for a decade – 10cc’s energies were not centred on image or celebrity-status, but on creating highly sophisticated rock masterworks with mainstream appeal. With hit song-writing credits with bands including the Yardbirds, Hollies and Herman’s Hermits under his belt, the early 1970s saw Gouldman and his compatriots reach new levels of creative endeavour. He spent time in New York writing for bubblegum kings Jerry Kazenetz and Jeff Katz., but fed up with being away from home, he returned to the UK to record the songs he had written Stateside with his friends at Strawberry Studios in Stockport. Back in Manchester, Stewart, Godley and Creme had also been busy, with Stewart testing a new four-track recorder that lead to the recording of Neanderthal Man, a track that went on to enjoy 14 weeks in the UK charts in 1970, peaking at No 2. The band was called Hotlegs and comprised Godley, Creme, Stewart, and briefly Gouldman. In1972 Gouldman’s manager Harvey Lisberg (later to become 10cc’s manager) met Neil Sedaka, who was playing a residency at Batley Variety Club in Yorkshire. Sedaka’s career was in decline and Lisberg suggested he worked with the guys at Strawberry. The result was Sedaka’s hit comeback album Solitaire, produced by Gouldman, Stewart, Godley and Creme, with Stewart acting as engineer. “We all learned so much from those sessions. Neil’s sheer professionalism, musicianship and song-writing were inspiring,” says Gouldman. “We’d done a few tracks and we needed a B-side for Waterfall [a Gouldman/Stewart composition]. There was a possibility that it would come out on the Apple label, which we were very excited about, because any connection with the Beatles was great,” says Gouldman. And so 10cc was born, Donna became the A side and reached No 2 in the UK charts. Right from the start it was obvious they weren’t like other groups. All four could sing, were adept in the recording studio, and were seasoned musicians more interested in pleasing themselves than writing to a formula. Not long after Donna was released, Sedaka returned to Strawberry to record a second album, The Tra-La Days Are Over, with the same team, and his career took off again. 10cc comprised essentially two song-writing camps, Gouldman and Stewart, plus Godley and Creme, although they would sometimes intermingle. “Our principle was always the music,” says Gouldman, “whatever’s best for the song. That means if I can sing better than you on it, that’s what happens. Or if Lol can play lead guitar better than you, he’ll do it. Consequently we had four singers in the band, four instrumentalists and four producers, plus Eric also engineered the sessions. “It was the combination of all four of us that made the difference, not only in the song-writing, but in the production values as well,” says Gouldman. The critical plaudits also rolled in. Rolling Stone calling The Original Soundtrack, “better than anything the Beach Boys have done of late”. The NME described I’m Not In Love as “a John Lennon song with a Paul McCartney vocal”. In an age where critics spent an inordinate amount of time trying to identify the new Beatles, 10cc increasingly seemed to fit the bill. “Because we existed in our own world, we didn’t need anyone to tell us how good we were. We listened to the records and went, this is everything we want it to be and more.” Even after the astonishing success of I’m Not In Love, they refused to play the game and followed it up with the acidic Art For Art’s Sake – and scored another Top 5 hit. Godley and Creme had become preoccupied with the Gizmotron – from the word ‘gizmo’ – a device they had invented which when applied could bring new sounds and textures out of an electric guitar. Obsessed with devising a showcase for it, they began recording a triple album together, Consequences. Says a reflective Gouldman now, “Kev and I, who stayed quite close, have talked about this since and have decided what should have happened; he and Lol should have gone off and done their thing for a year or so, then allowed 10cc to resume. Instead, Gouldman and Stewart continued as 10cc and scored more notable successes with their next two albums, Deceptive Bends (1977) – featuring their next worldwide hit single Things We Do For Love – and Bloody Tourists (1978), which spawned another international hit, Dreadlock Holiday. Ultimately, the split took its toll and when Stewart was badly injured in a car crash in 1979, the writing was on the wall. All four original members enjoyed very successful post-10cc careers. Godley and Creme continued as a partnership, recording their own hit records and becoming Grammy-winning video directors for acts including Ultravox, The Police, Duran Duran and Frankie Goes To Hollywood. 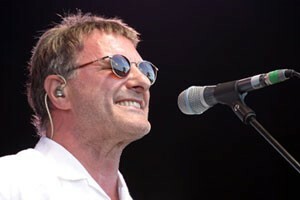 Stewart collaborated on three Paul McCartney albums in the 1980s and continues to record sporadically as a solo artiste, his most recent collection being Viva La Difference in 2009. Meanwhile Gouldman spent the 1980s concentrating on recording soundtracks for films such as Farah Fawcett’s Sunburn and the American animation Animalympics. He also worked as a producer with The Ramones and Gilbert O’Sullivan. He then formed Wax with American songwriter Andrew ‘Lonely Boy’ Gold and had hits with Right Between The Eyes and Bridge To You Heart. 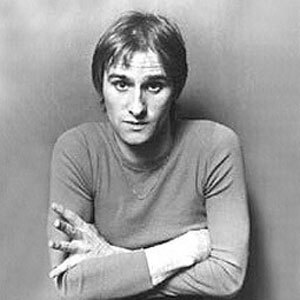 There were two final Gouldman-Stewart directed 10cc albums in the ‘90s, the first … Meanwhile (1992), featured contributions from both Godley and Creme, while the last, Mirror Mirror (1995), despite featuring contributions from McCartney and Gold, was more a collection of Gouldman and Stewart solo songs. In 2002, the 30th anniversary of the band’s debut hit Donna, 10cc began to creep back into the national consciousness. With Gouldman fronting a new touring band, a 28-date UK tour was followed by a series of one-off events across Europe. The band have continued to regularly tour the world ever since. In 2006, Universal records released the TV-advertised, double CD 10cc: Greatest Hits … And More, and the following year national newspaper the Mail On Sunday produced a special 10-track, cover-mount Best of 10cc Live CD, distributing more than 2.4 million copies throughout the UK and Ireland. The paper reported that sales rose by 232,000 on the day of publication. For the band’s 40th anniversary year in 2012, Universal Records released a new five-CD box set entitled Tenology, featuring 80 tracks chosen by the four original and members. A world tour took 10cc as far and wide as Iceland and Australia, and saw them play London’s Royal Albert Hall for the first time. The landmark concert saw Kevin Godley guest on several numbers including a capella version of Donna. After 50 concerts with 10cc that year, Gouldman decided to tour as an acoustic outfit, Heart Full of Songs, which included10cc’s Rick Fenn, Mick Wilson and Mike Stevens. Their set included hits Gouldman wrote for The Hollies, Herman’s Hermits, the Yardbirds and film soundtracks, along with material from his new solo album Love And Work. And in a triumphant end to 2013, 10cc joining Status Quo for a tour of UK arenas, including London’s The O2. This year has seen the band play New Zealand and a host of summer festivals across the UK and Europe, including the 60,000-capacity British Summer Time in London’s Hyde Park. “Year on year we get busier and busier. It’s great, we love touring and playing together and we get on really well. The audiences these days are very gratifying. You get the people you would expect, who grew up with 10cc, but you also get young kids who know the songs too,” says Gouldman. Paul has worked with 10cc from the beginning and Rick joined the live band in the mid-‘70s. Mike is occasionally replaced by Keith Hayman, when Mike tours as musical director with Take That or Gary Barlow. Similarly, Mick is occasionally replaced by Iain Hornal, when Mick is otherwise engaged. • 10cc has sold more than 15 million albums in the UK. • I’m Not In Love has been played over five million times on US radio. • A YouTube video clip about the making of I’m Not In Love circulated the globe in late-2010, resulting in increased name-checks by bloggers and DJs. • Things We Do For Love has been played over 3.5 million times on US radio. • I’m Not In Love was part of the soundtrack of the film Bridget Jones: The Edge of Reason. • Gouldman, Godley and Crème won two Ivor Novello Awards for the 1973 hit single Rubber Bullets. The Ivor Novello Awards, established in 1955, are the highest song-writing accolades in the UK. • In 1993, Will To Power hit the Top 10 in the UK with its version of I’m Not In Love. It has also been recorded by, among others, The Pretenders (for the film Indecent Proposal), Peggy Lee, Richie Havens, Fun Lovin’ Criminals, and most recently The Flaming Lips. • Bus Stop (written by Gouldman for he Hollies) has been played over four million times on US radio. He also wrote the Yardbird’s hit For Your Love, which has been played over two million times on US radio. • Wax, featuring Gouldman and the late Andrew Gold, has sold more than two million albums worldwide, spawning the hit singles Right Between The Eyes and Bridge To Your Heart. • I’m Not In Love is lead track on the new blockbuster Disney film Guardians of the Galaxy, which grossed $635 million in its first two months in US cinemas and spawned a No 1 album there. 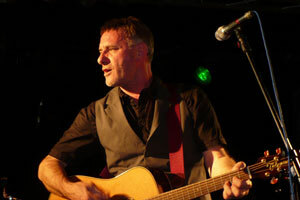 Recently Steve Harley and his wife Dorothy were sitting in the back of a taxi in Montenegro heading for a night out when the car radio played Make Me Smile (Come Up And See Me). The driver tapped the steering wheel in time to the catchy beat, totally oblivious to the fact that he was transporting the man he was listening to. Steve chuckled: “I did think about telling him – and I have done that in the past. It can be quite fun to say: ‘That’s me.’ And then they stare hard and say: ‘Hey, it IS you.’ But I left him to enjoy the song. He did not recognise me at all but it was interesting to see his reaction. It should come as no surprise that the 1975 Number One hit should still be getting air time across the globe; it is still regularly voted in polls of the top 100 songs of all time. Steve added: “It is fair to say it has stood the test of time! People ask if I ever get tired of playing it, how could I? That song has been very good to me. It is a different version every night and I love playing it and I love the reaction from the audience. “The place usually goes ape as soon as we play the opening notes. People love it; I would never fail to play it. That would be disrespectful and churlish. “I have written more than 130 songs but that one stands out though I do get a bit miffed if people think that is all I have done, especially semi-professionals who don’t do their research. Despite scoring just 24% in his mock O Level in Maths, Steve’s first job was as a trainee accountant at the Daily Express. But his love of journalism saw him train as a reporter – despite leaving school without an English A Level; he eventually took it in his mid-Thirties. It is easy to assume now that Steve would have gone into music journalism but that was never his aim. He added: “I trained as a hack and I would have stayed that way. “I loved being a news reporter and mixing with journalists but I have no regrets about switching to the music industry. I trained with some people who have gone on to become very successful in the industry but I never look back and wonder what might have been. “I have lived a life full of highlights. Everything has been such an adventure and I have travelled the world,” said Steve. “Three years ago I took my acoustic show to Norway. We went to Tromso in the Arctic Circle where they have six months of daylight and six months of darkness. “It was dark after the gig so I guess it must have been winter and as we were being driven back to the hotel, the driver asked if we wanted to go and see the Northern Lights. “I said I thought that would be quite pleasant so we drove out somewhere it was pitch dark and then saw the most magnificent spectacle of nature. Playing a concert for 700 people and then seeing that was a real highlight. “Another would be waking up in Beverley Hills to a phone call from the managing director of EMI to say we had reached Number One with Make Me Smile. So, what next for the 64-year-old who shows no sign of slowing down? “There is a lot on the burner. One of my songs has just been recorded by a major international superstar. I can’t tell you who he is because it is being kept hush-hush until it is in the shops but he is one of the world’s biggest selling artists so that is a buzz. “I have just been in the studio and made a beautiful record which might get a bit of air play but it is very difficult to get that these days. Life has changed so much; you can get spotted and dumped in a matter of weeks. 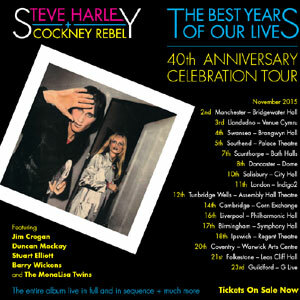 “In the autumn I will be going out on a 40th anniversary tour which will be a lot of fun. Duncan Mackay is coming over from South Africa to play with us so it should be fantastic. “Before then we are playing several festivals, all in the south which is good because it means we can get home afterwards and save on hotel bills. “I do so many festivals that it can be hard to remember too many but Wickham genuinely stands out for me, partly because the organiser Peter Chegwyn is such a good man and partly because it is such a good event. “I played there a couple of years ago and loved the atmosphere. Everyone was very chilled and relaxed. And they have what I call proper musicians who just love to play. “This year they have a fantastic line-up of real good people. I have bumped into Billy Bragg on many occasions and I have known Graham Gouldman for ever. Steve Knightley and Phil Beer are old friends. 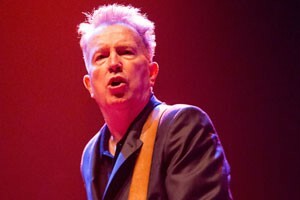 “I have known Tom Robinson since he was in short trousers and the Proclaimers played with me at Wickham in 2012. They came and watched my set and were so kind. 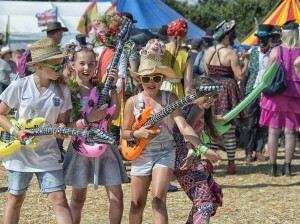 The Wickham Festival is top of the list in the Guardian’s rundown of family festivals. The national newspaper has published a selection of some of the best boutique festivals this summer and we are delighted to be featured so prominently.